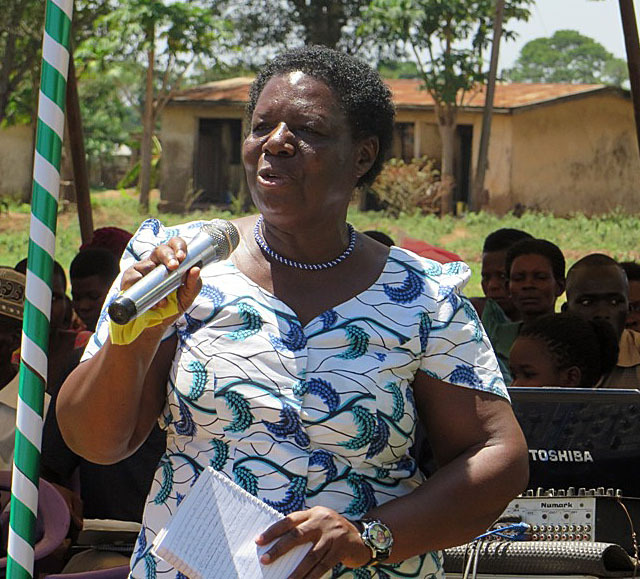 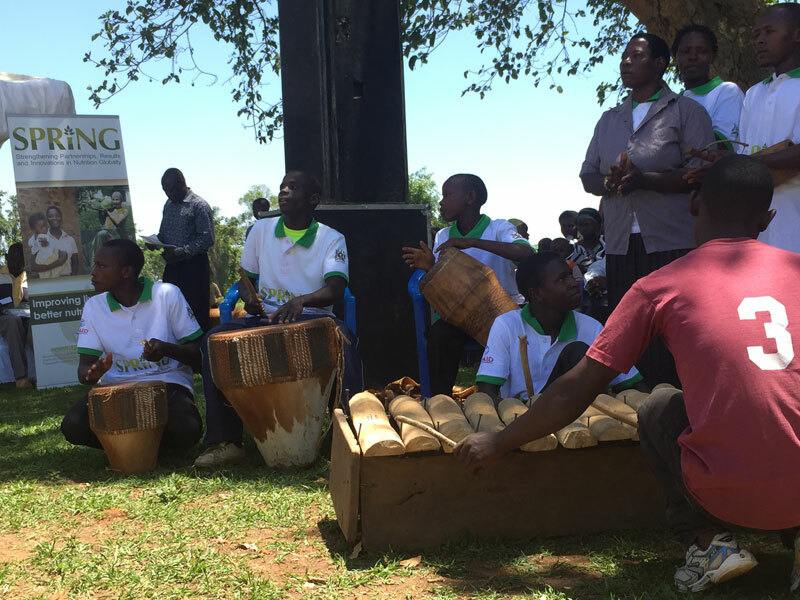 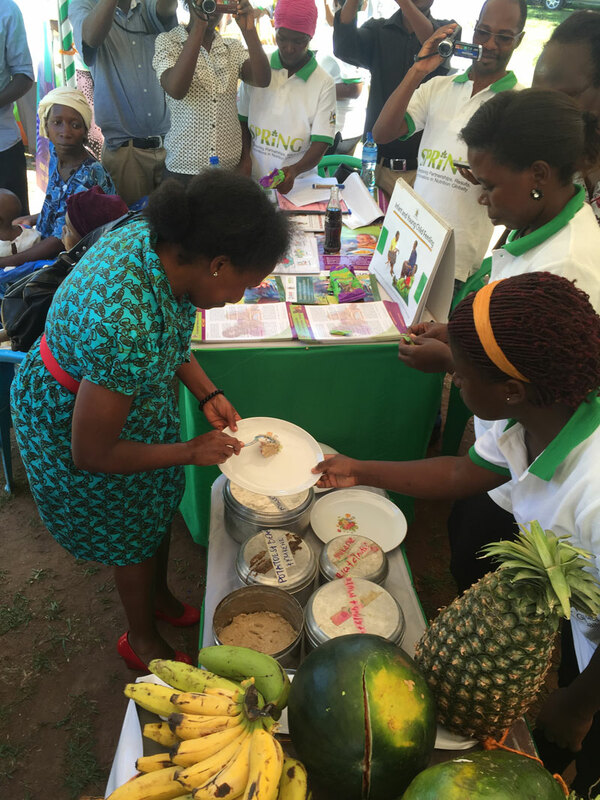 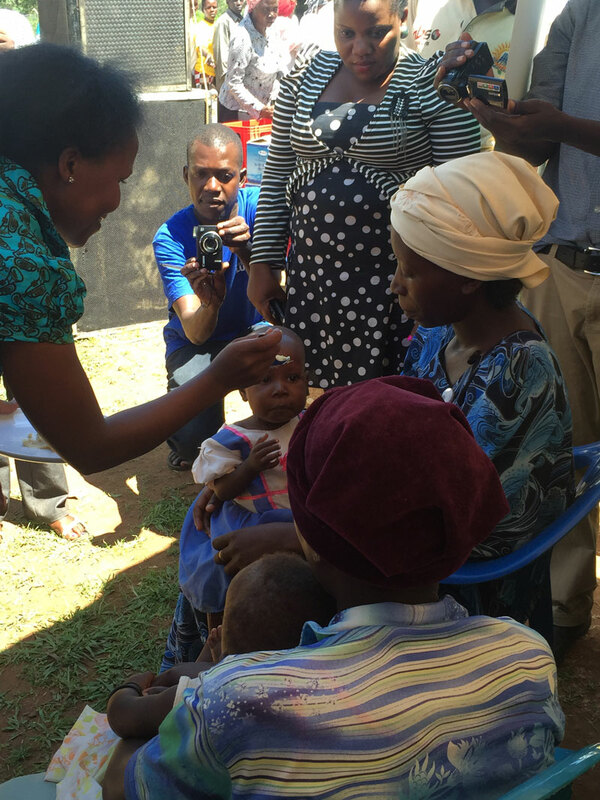 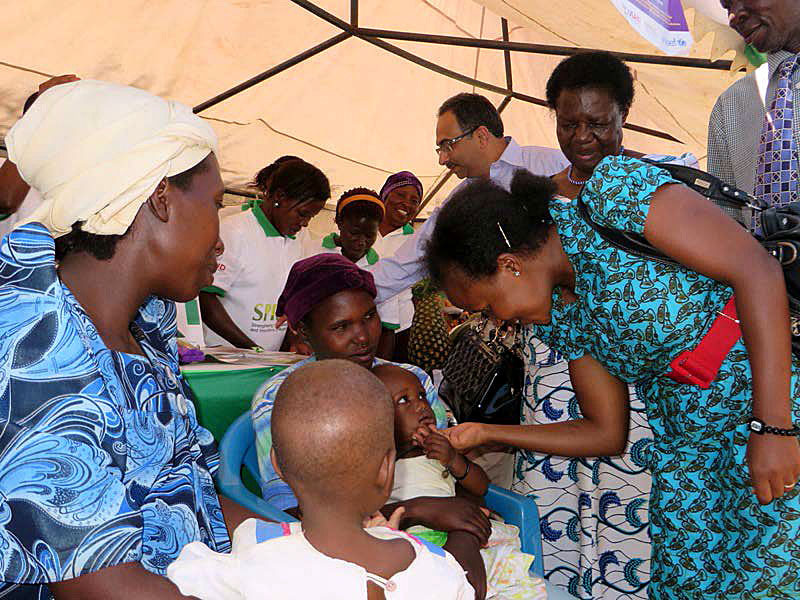 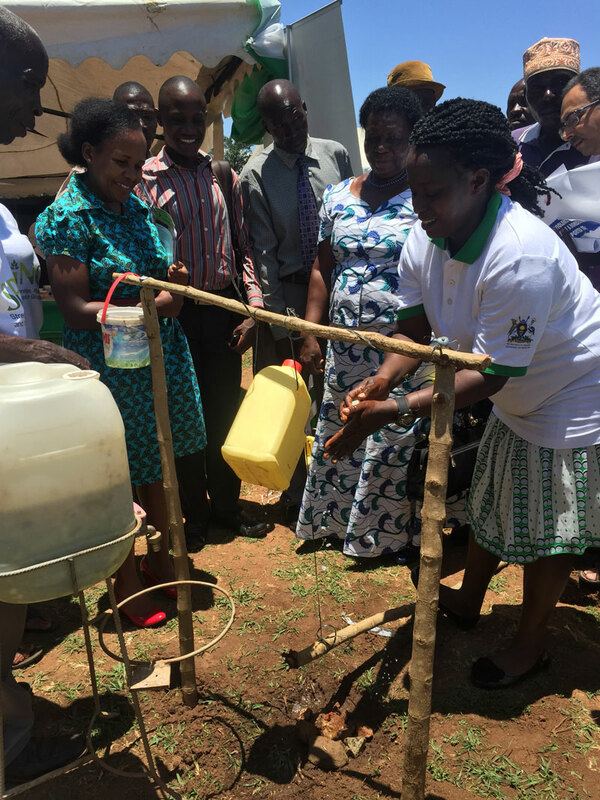 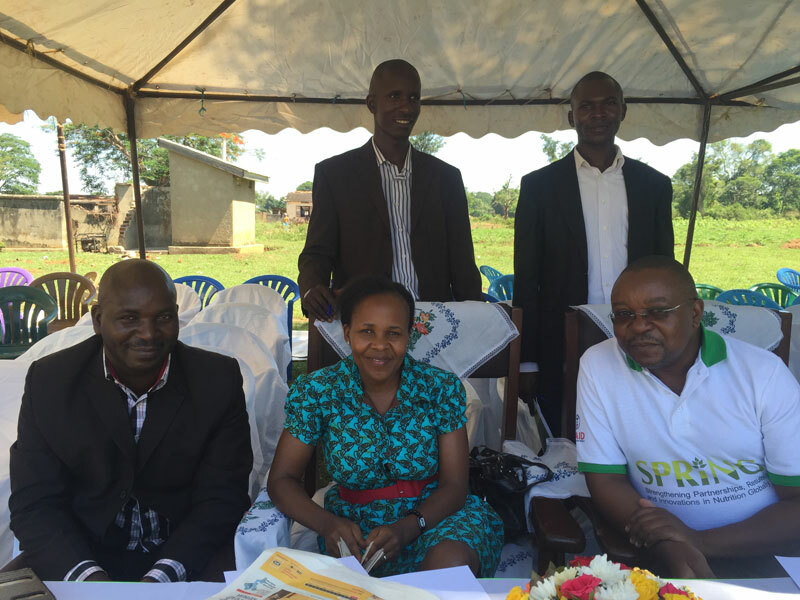 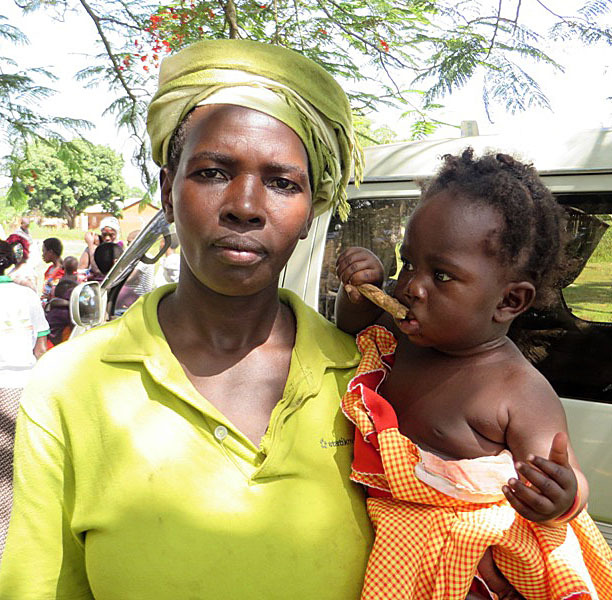 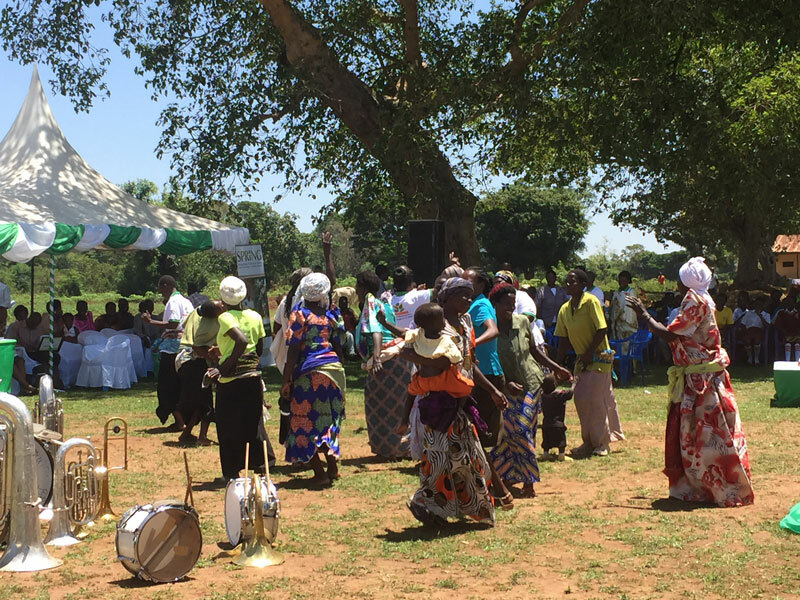 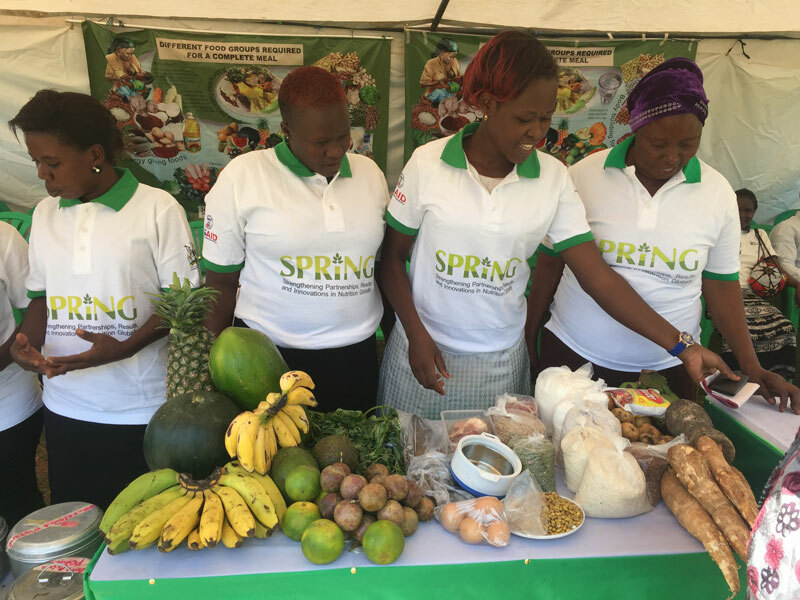 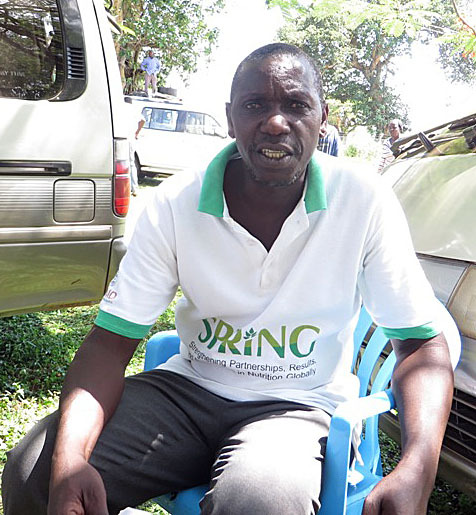 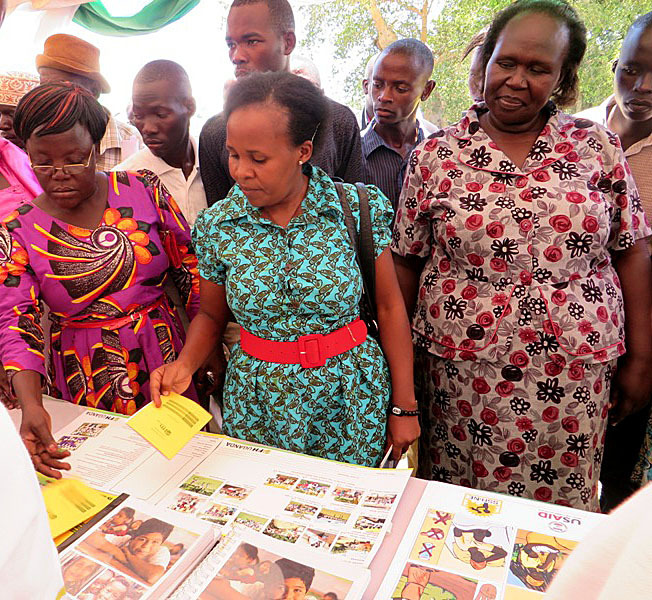 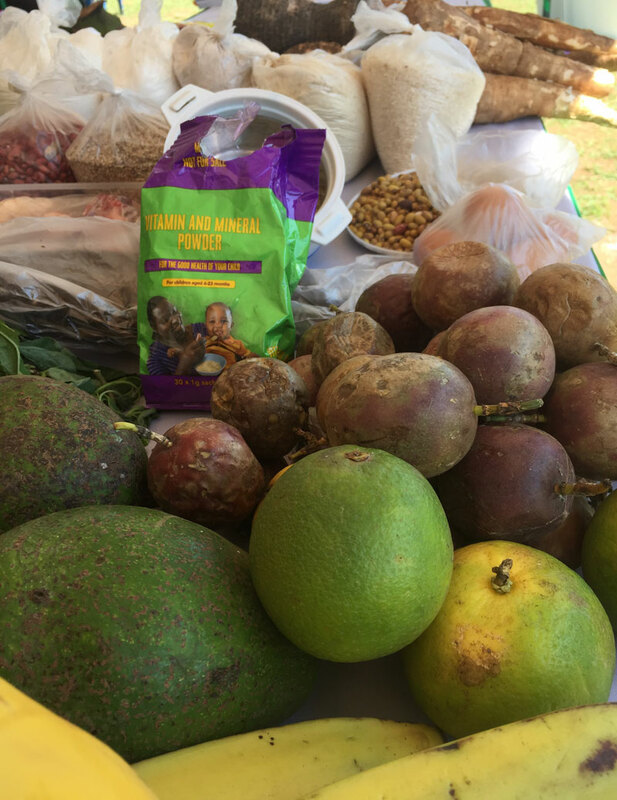 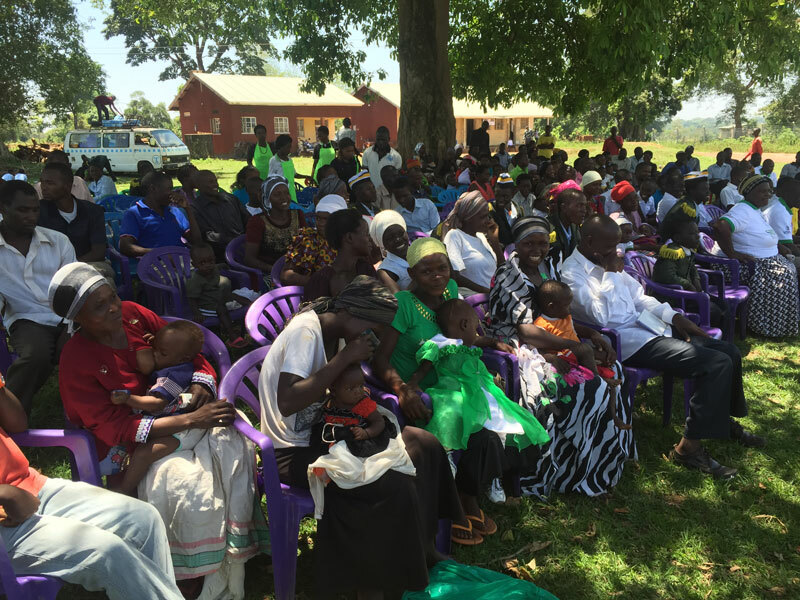 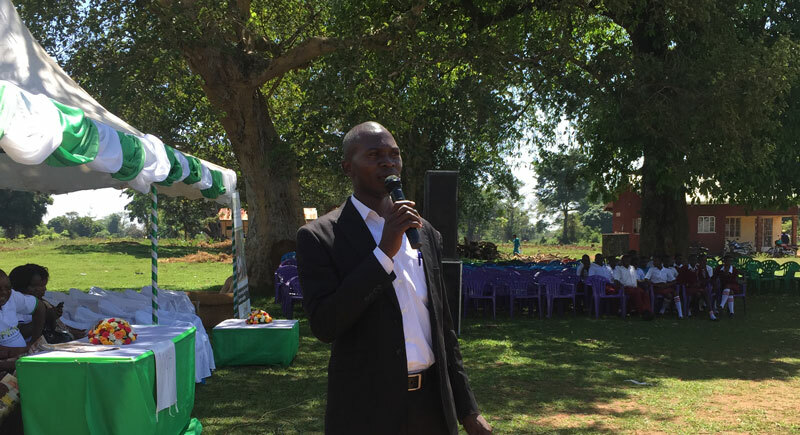 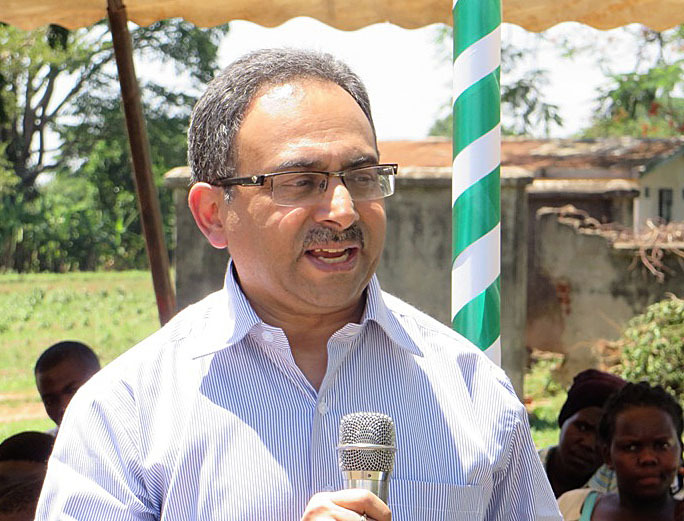 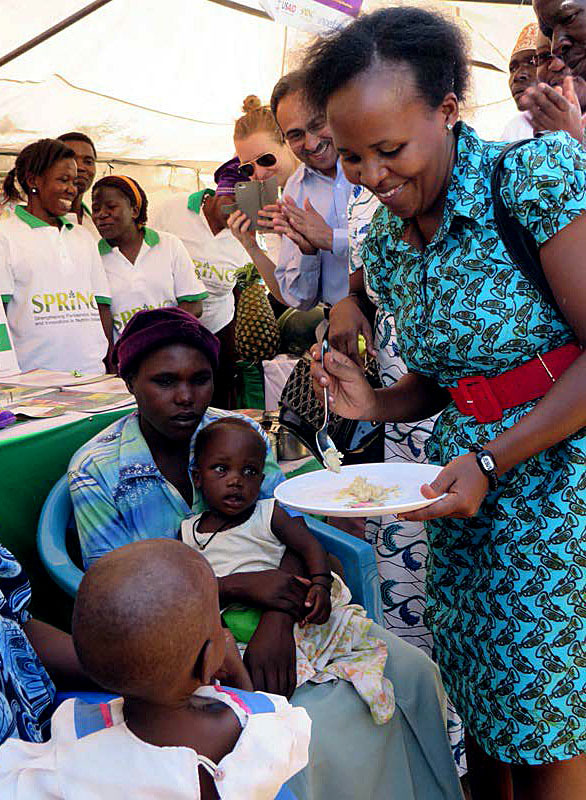 On March 15th, 2015 in Nsinze Sub-Country, Namutumba District, Uganda’s Ministry of Health—in conjunction with Namutumba District leadership, SPRING, World Food Programme, and UNICEF—launched a pilot program to improve children’s nutrition within the district. 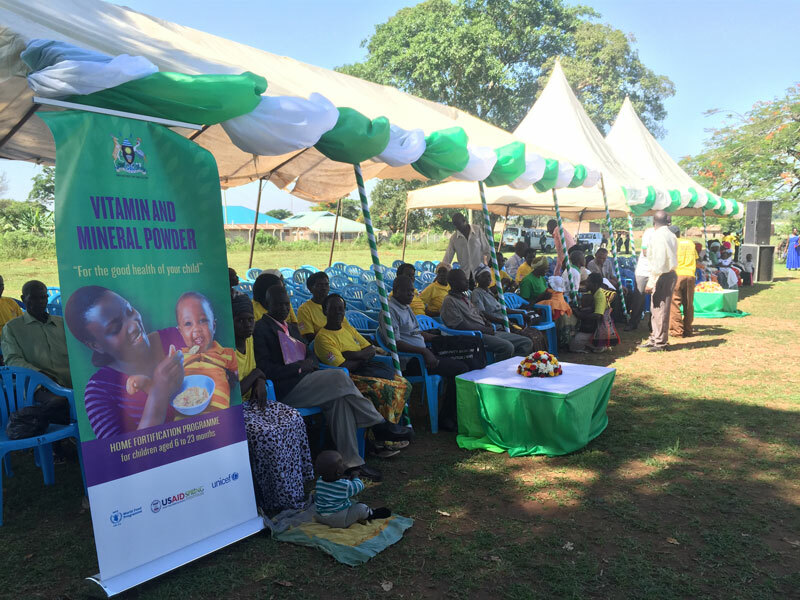 The program involves distribution of micronutrient powders (MNPs) through village health team (VHT) members or health facilities to enable caregivers to fortify foods and the point of use (often called home-based food fortification). 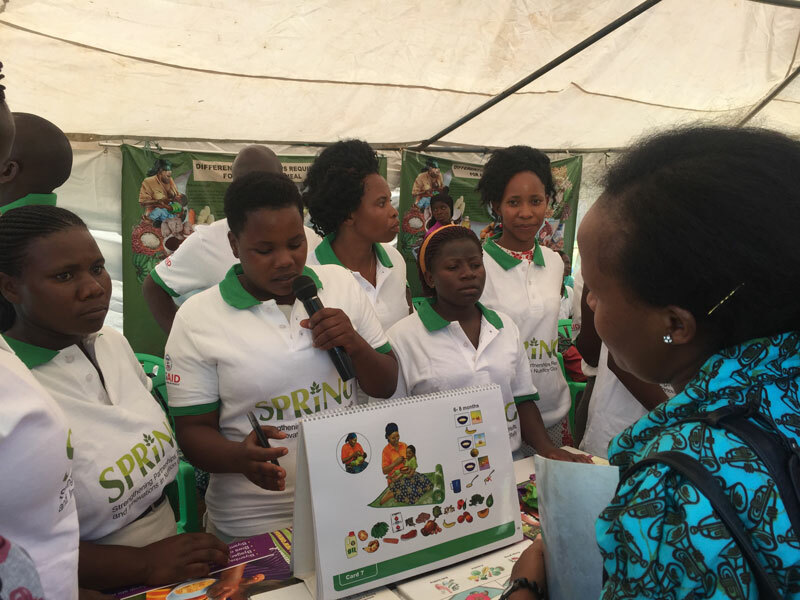 The program also includes sharing of information on improved infant and young child nutrition and water, sanitation, and hygiene (WASH) practices. 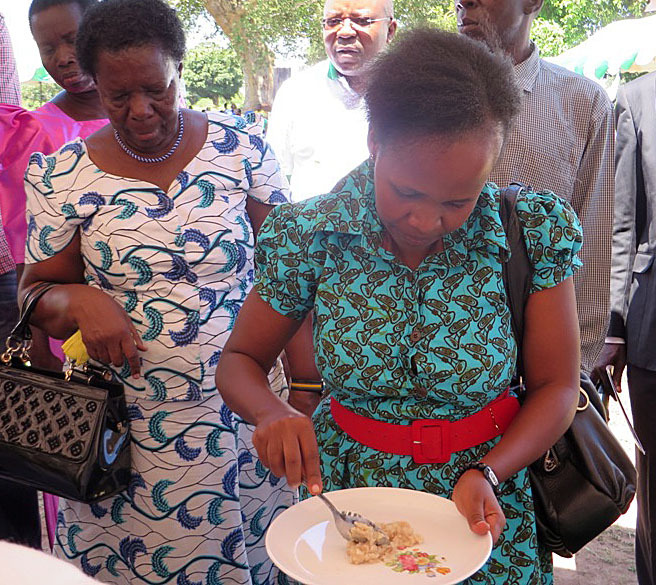 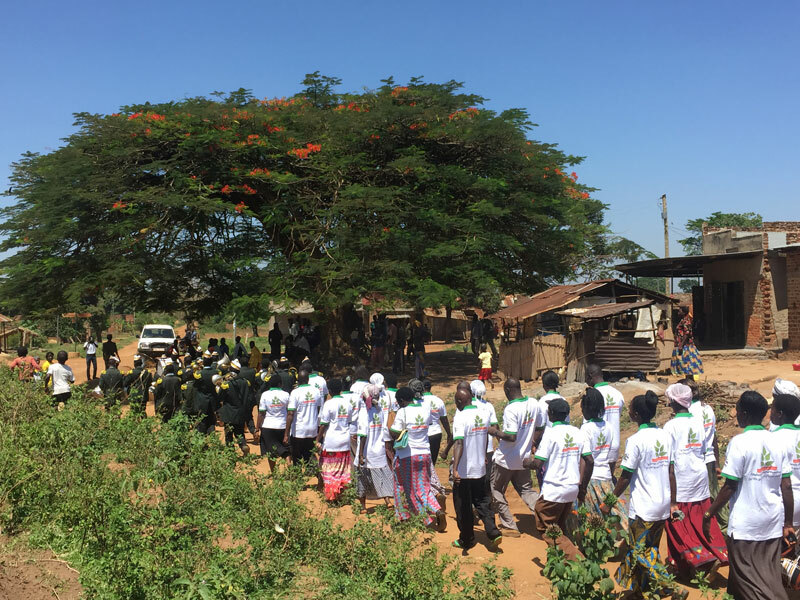 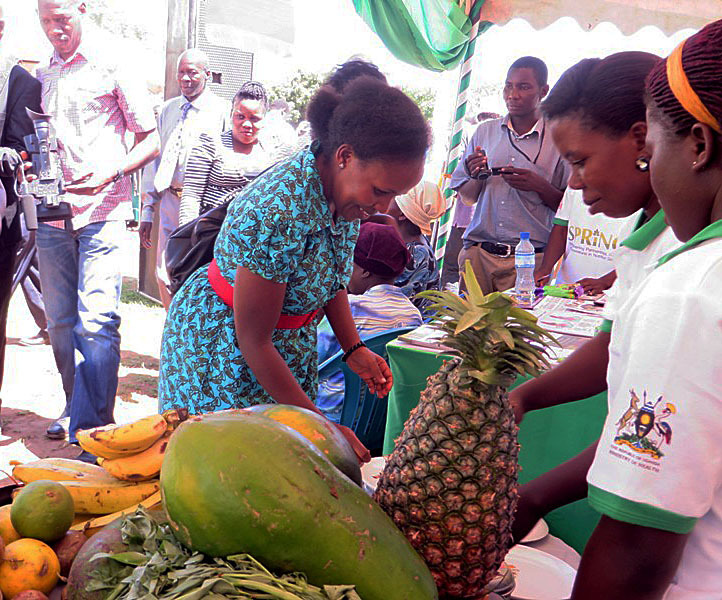 In addition to government and partner stakeholders, members of the community attended the launch event, which featured extensive edutainment, including food demonstrations and informative speeches by dignitaries.